The snow stopped, and melted, turning from a blizzard-like flurry, into a beautiful spring evening, in a matter of minutes, yesterday. You've got to love the spring! So, while we had clear roads, and fairly clear skies, we gathered the children, binoculars in hand, into the van, and headed out on a nest spotting drive (with the younger children anyway, because we had to drop the two oldest at youth group, on the way). The Man of the House took us by a cavity nest, he'd spotted earlier in the week, on a business call. Some, like this hawk's nest, even had a mother bird in residence. We kept our distance, but even so, she gave us a nice loud hawk scream of greeting/warning. Of course, we had to stop to take a quick picture of a neighbor's domestic Bison, for you non-Montanans, just to prove we are in Montana (in case the mountains in the backgrounds of our photos aren't proof enough). And, we spent quite a bit of time trying to count a herd of elk, grazing near the road. We lost count somewhere around fifty-nine. On the way to take a look at an osprey nest, we caught sight of this little guy, fleeing the scene. It was a good thing too, because near the osprey nest (which also had a bird in residence), we spotted a hawk's(?) nest, and while we were watching it, a large hawk (so large in fact it may have been a golden eagle) popped up, and soared off for some evening hunting. Needless to say, we'll be returning to that spot with a spotting scope, to get a better look at the gorgeous raptors. We'll also be returning to our church with a tape recorder (or some modern equivalent), because while we were waiting to pick up the older children, after youth group, we could hear an owl calling from a group of large trees, and being answered by what we assumed was a mate, from somewhere further away. We spent quite a bit of time listening to owl vocalizations from the online Montana field guide, but would like a recording of "our" owl, for comparison. ...and finally, taking a look at the satellite images on mapquest to add in some details, like the large pond to the east of the osprey, and hawk/eagle nest, and the river, and our favorite fishing hole, to the west. 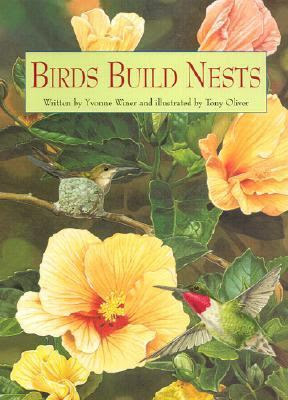 ...Yvonne Winer's Birds Build Nests, a very simple, poetic, beautifully illustrated, picture book, about all different kinds of nests, including an identification guide at the back. And, we watched a number of the "Inside Birding" tip videos from Cornell Lab's "All About Birds" site, which proved extremely helpful on our drive. I love this theme on your blog. How exciting that you could see so many nests and listen to birds. We definitely have our fair share of birds, but not big raptors like yours. Wow, great project! I'd never thought of mapping out nesting locations before. Um, how come Montana is not better known for its beauty? You are amazing! 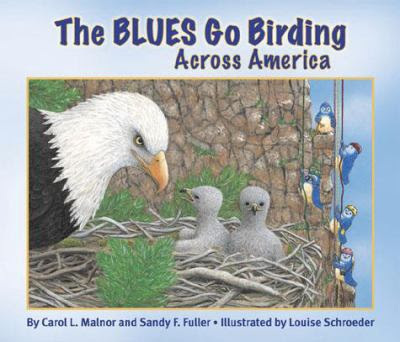 How you combine birding with map skills and even think to grab a recorder to capture the calls of the owls. What a comprehensive lesson! This is fantastic! I really like the way you mapped it out. I hope you get to record the owls! What fun! Right now, without the leaves on the trees, it is much easier to spot the nests. We see hawks nearly every day circling over our home. Luckily, I've never seen one attack the visitors at our bird feeder. What a cool idea! I love the nature mapping!! You do live in a beautiful area with interesting animals. We just did a bird nest drive yesterday, how funny! I do like how you tied in mapping too tough - brilliant! Such a peaceful looking landscape for nest spotting. What a great idea to continue the discussions with the mapping activities - sure makes for a memorabe experience.